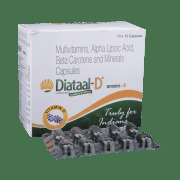 Diataal D is essential for normal growth and development, good vision and eye health, a strong immune system, and healthy skin. It is also used as a supplement in Diabetic complications. Alpha-lipoic acid helps lower blood sugar levels. Its ability to kill free radicals may help people with diabetic peripheral neuropathy, who have pain, burning, itching, tingling, and numbness in arms and legs from nerve damage. Alpha-lipoic acid helps improve insulin sensitivity. 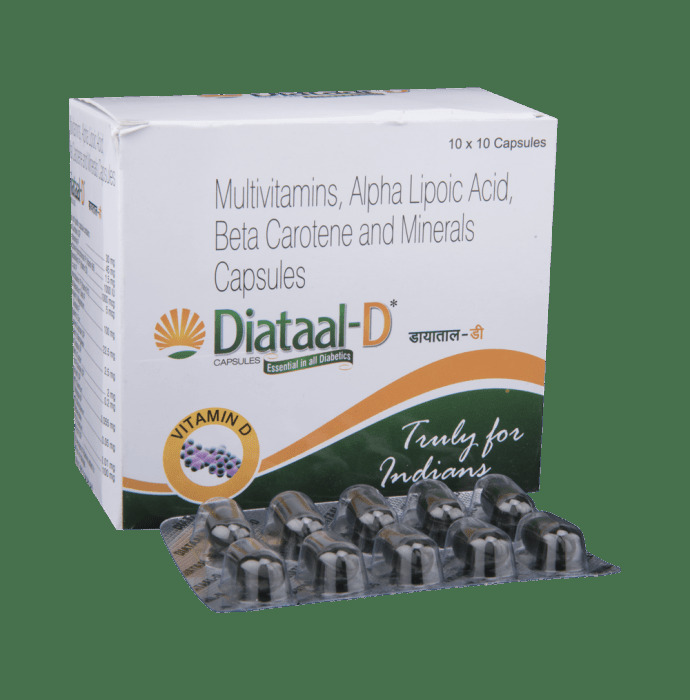 A licensed pharmacy from your nearest location will deliver Diataal -D Capsule. Once the pharmacy accepts your order, the details of the pharmacy will be shared with you. Acceptance of your order is based on the validity of your prescription and the availability of this medicine.